Earlier this year our guild decided to do a mini quilt swap with the McKinely Texas guild. 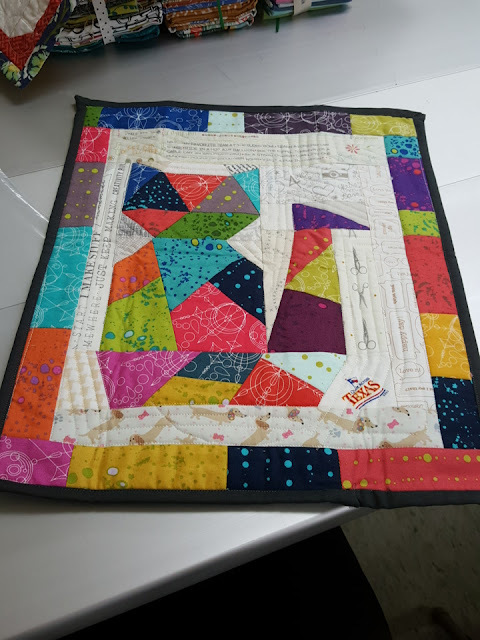 This was a pretty easy choice since it's just about the mini quilt and we were sending 3 pattern suggestions along with our interests. 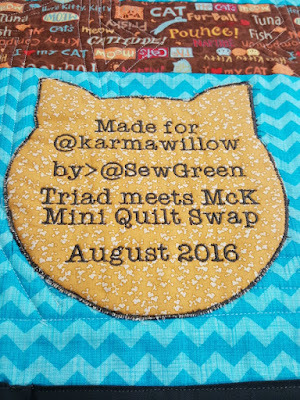 It also turned out that 3 members of the guild are also in my traveling quilt group, so that's extra fun. I got asked to make the rainbow squirrel by Quiet Play as one of my partner's choices. 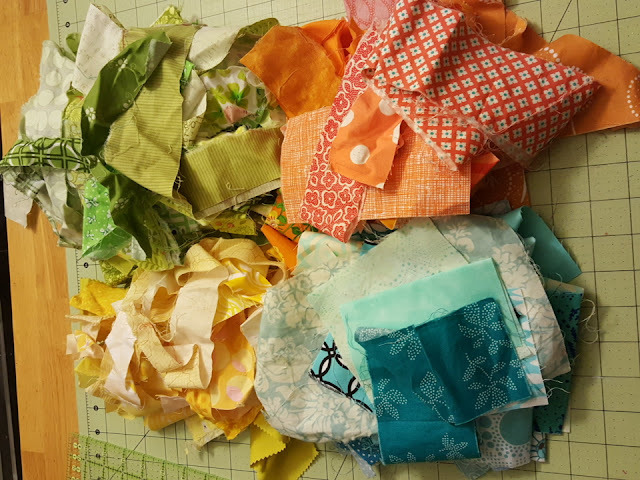 I eagerly set out on this project by looking for other inspiration -- I didn't want rainbow and neither did my partner but she did like bright citrus colors. With bright colors as my guide I tried to think of an interesting way to make this mini special. 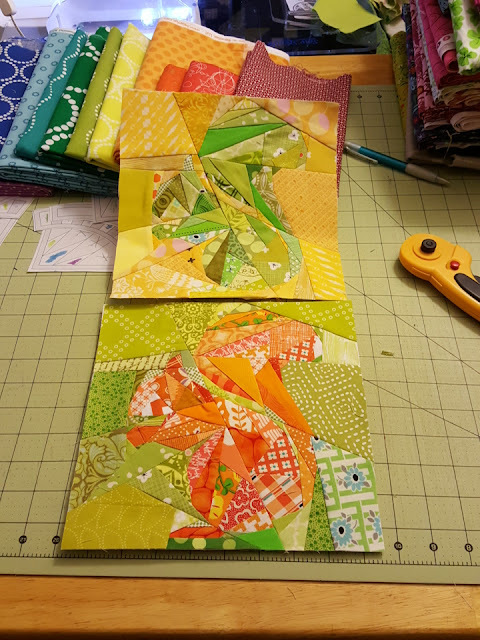 I decided I would make multiple squirrels, one in each of her chosen citrus colors. 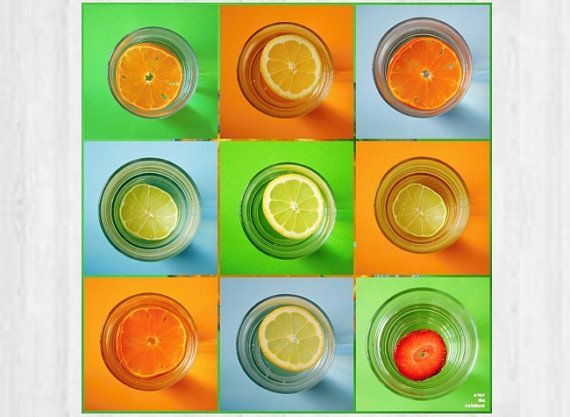 The idea that I was missing something obvious kept nagging at me so I looked online for citrus colored artwork -- and there it was in it's Warhol nature, my future mini quilt. I pulled out scraps from the string bins and scrap baskets first. 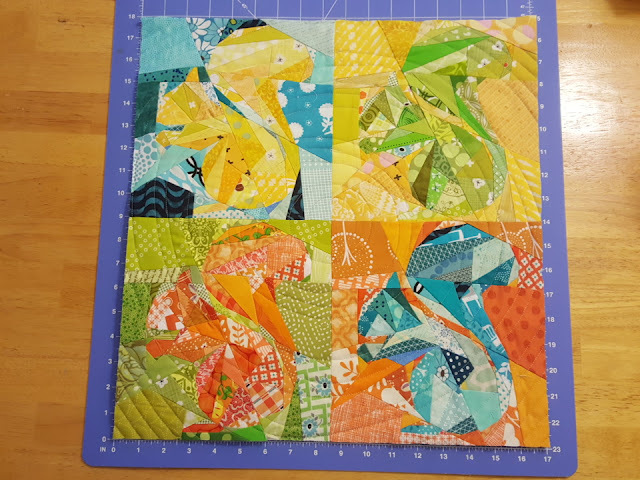 These squirrels went together easily and relatively quickly -- i shrank the pattern by 25% and made a 9 inch version of the block. 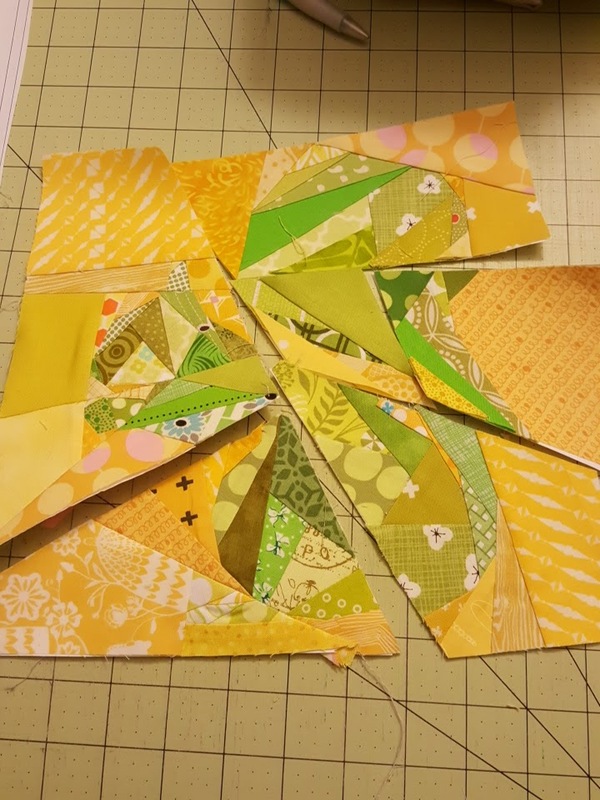 and then there were 4 -- I got it quilted in organic circles and ready to ship out. Oh, so cute. It will be heading over to live with Ellyn in Texas. This was my 1st finish in the 3rd quarter and my OMG goal for July. I love my squirrels! thank you so much. I hope we swap with your guild again sometime. Great job, girlfriend! I love your interpretation of this design. Your work is so inspiring. 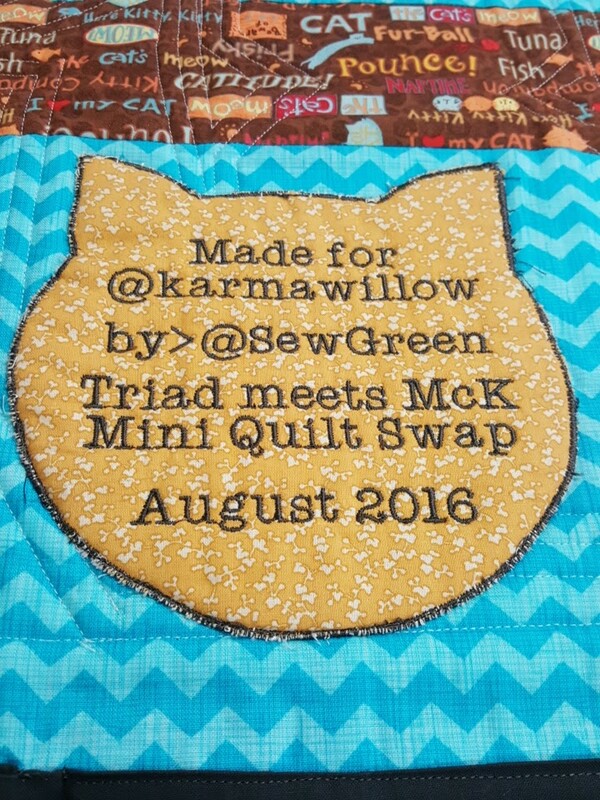 And you kitty quilt gift is pretty great too! I agree. Great job and I'm not surprised that she loves it. It's beautiful! Thank you for participating in the FAL, on behalf of the 2016 global FAL hosts. Those are some awesome squirrels! I love this interpretation!